We all make mistakes, just wish mine weren't in print! Updates for Aura have the date in the bottom corner to ensure you have the most current information. Click here for corrected page. 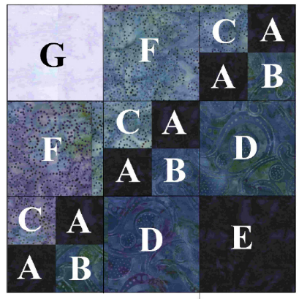 Page 5 - Block 1 should measure 8 1/2" x 8 1/2". 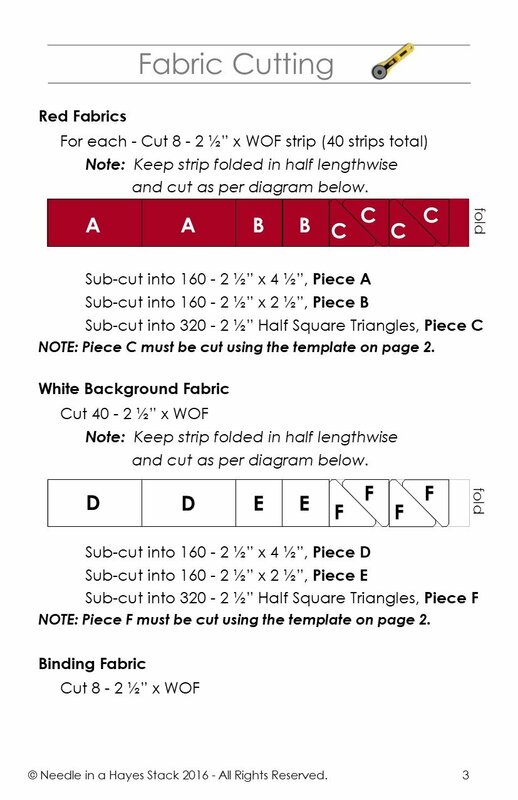 The piece marked Template C should be a 10 degree wedge if making 9 of the same exact size. 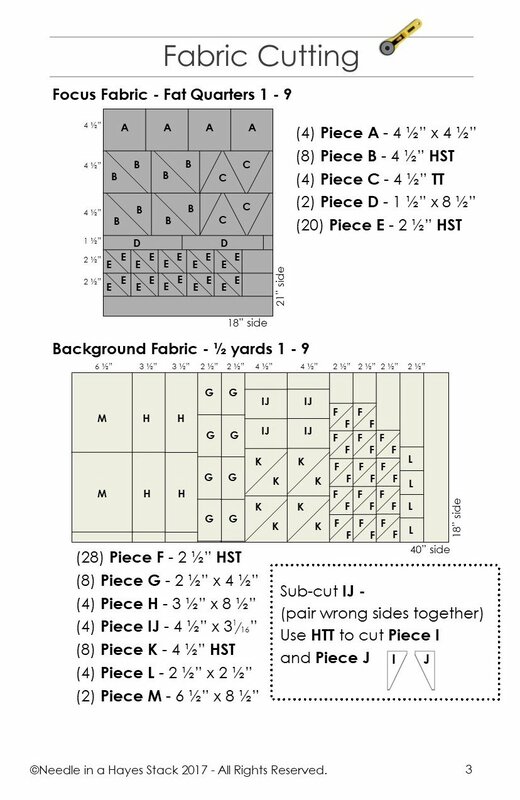 If you do not have a 10 degree ruler there is a link to the actual size of the nine wedges. Click here for templates. 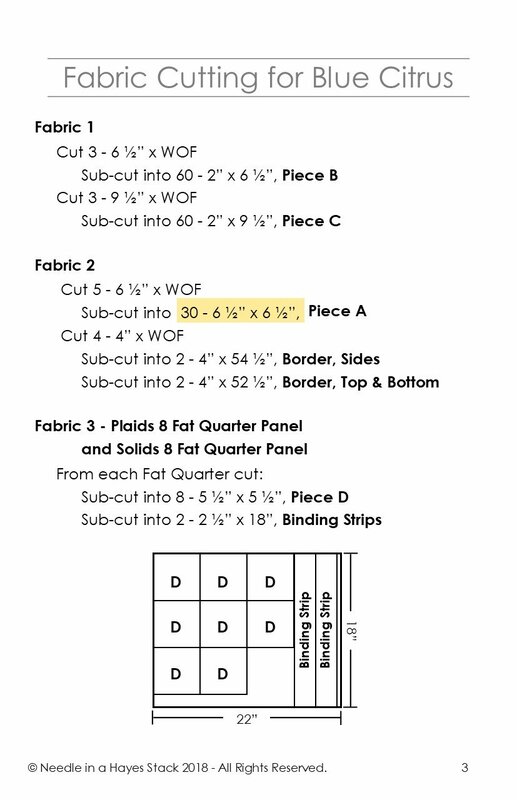 Sub-cut into (32) - 4 1/2" x 3"
The original instructions say to cut 24 (but that is just not enough). 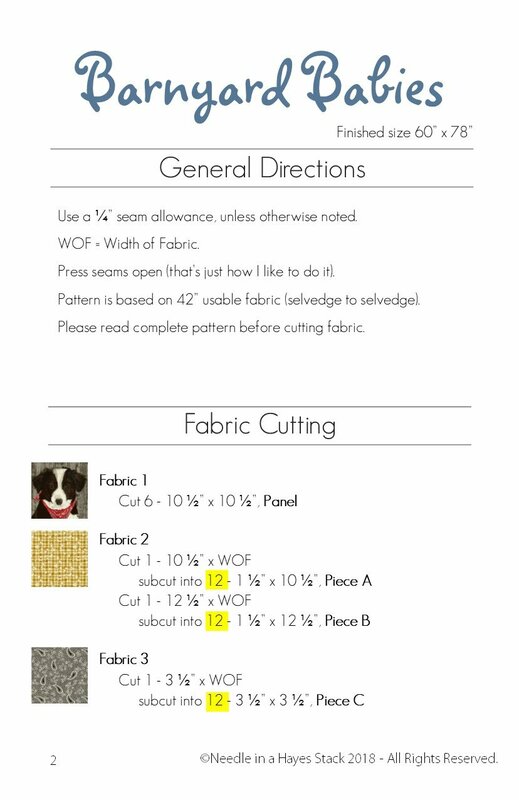 Block 4 - Light Fabric is listed as a 3/4 yard cut. Should read - 1 yard cut!